That's an awesome collection of boxes you have there! Its like a happy little HAF XB Family. Last pic made my jaw drop. Just curious, why do you have that top exterior fan on intake? Have you tried it both ways? Thanks for your reply. You are very observant. I normally go with an exhaust configuration on top, but I always try both intake and exhaust configurations to determine which delivers the best temperatures at full load. Thankfully, it's very easy to switch directions when experimenting. The HAF XB EVO is a tremendously flexible wind tunnel, and it delivers excellent air cooling characteristics; I highly recommend it. Good components. Cograts for the configuration, because it will surely perform great for the next 5-10 years. 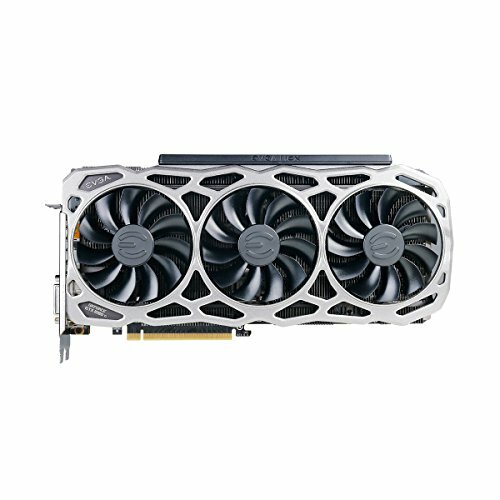 part list has 1000w psu but picture has 1200w? did it change? Thanks for your reply. Actually, I couldn't locate the EVGA 1,200W power supply when I created the part list, so I added a similar, slightly smaller 1,000W model. I chose the 1,200W model to keep average power supply utilization around 60%. Sweet build. But why didn't you go with water cooling? Thanks for your reply. I just prefer a simple, well thought-out air configuration. Why? There's less expense, less risk and easier long-term maintenance. Vendors like Noctua provide excellent heat sinks at a reasonable cost, and cooling performance is on par or better than most all-in-one liquid coolers. Do you think I can four GTX1080Ti in this rig? Thanks for your inquiry. The HAF XB case and ASRock Fatal1ty X399 mainboard will accommodate four 1080 Ti GPUs, but chassis space is tight and that presents two big challenges. First, a custom water loop would be required to avoid melting the inner/choked GPUs in a 3 or 4-way configuration. Sufficient radiator capacity and all of the other required plumbing will fit in there, but it will be costly and tight. Second, a really large power supply (1500W+) is also needed to handle the peak power demands of Threadripper and four GTX 1080 Ti GPUs. Installing a huge power supply in the HAF XB is doable, but it would likely require case customization, probably involving the removal (and loss) of the stock hot-swap bays in the lower chamber to accommodate a really long power supply. This sort of build certainly is a big challenge, but it's doable. The end result would be an amazingly powerful system crammed in a rather small footprint. I'm looking to build something similar... Do you know if you're getting the speed touted by AMD out of the raid configuration for the 960 evos? Linus from tech tips ran into an issue, https://youtu.be/lzzavO5a4OQ?t=251 . Also what are your CPU temps for idle and load? When I first assembled this rig, the 960 RAID performance was 20% below advertised peak. However, BIOS and AMD driver updates resolved the bottleneck a few months ago and the RAID set is now performing up to spec. CPU temps: cold boot = 26C, idle = 35C, normal load = 45C, peak = 70C while also folding both video cards. Wow, not the most cosmetic build that I have seen, but it is very well designed and configured. Only thing I would do is increase the 3200 DDR4 ram, and maybe go with Enermax 360mm radiator for CPU cooling. Just personal choice, but your build will probably work just as well. Nice build, I'm thinking of building a threadripper in the HAF XB case. One question, does the 200mm fan not fit inside the case with cpu fan? 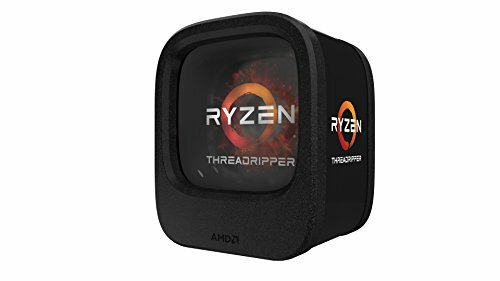 No, the 200mm fan does not fit inside the case with air coolers that can keep the threadripper under control. I realize it doesn't look good, but I really don't care about looks. That 200mm fan exhausts a lot of heat very quietly; the 200mm fan isn't necessary if you're using a single video card with a threadripper. However, that fan really helps when you're running SLI with threadripper or any other hot processor. Of course, it's a workhorse, function over form. Thanks for the info. I'll be using a single video card, so I'll keep a 200mm fan in mind if heat persists. All of the Noctua system fans are nearly silent under all loads, because I keep them on a relatively flat, low RPM curve. At normal loads, the CPU Noctua PWM fans are slightly noticeable in an otherwise quiet room, growing louder as peak loads are met. If there's other sound (TV, gaming, stereo) in the room you don't hear the Noctua PWM fans. Note that noise levels in my system are primarily a function of room temperature. My office is kept at 21C. I suspect the noise levels would go up if the room was 25C. However, the GPU fans do get loud under heavy load, and they represent the primary noise source in the system. Under normal use the GPU fans don't even spin or they occasionally spin at low RPMs, so the system is pretty much silent until heavier GPU load is met. If I were to ever water cool anything, it would be the GPUs. EVGA's air heatsink is really good, but its fans become increasingly noticeable above 62C. I realize that this post is fairly old, but here goes! Great rig you've got there, very nice and it matches up with what I am planning on doing(At least for the cooling so far). As you touched on in another comment, the 180mm clearance from the board to the top of the case is pretty limiting. Would you mind telling me how you went about mounting the fan on the outside and powered it? I have a few ideas on the table and im wondering what your approach was. Hope the system is still rocking on and dong better than you hoped! Using a large top fan does a good job removing hot air quickly and silently from the case, upgrading the CoolerMaster HAF to an Ultra HAF! Ahahahaha! I was thinking about either using the 5v Noctua series w/ a USB adapter or splicing a cable to fit through the extra screw holes on top along with an extension(Bit cleaner). At no point did I think to just shove the cables through an opening in the back.... Thank you very much! That was my one issue with the chassis(Seeing that I have a Hyper212 Evo) and I really did not want to buy a specific use 5v. And thank you for mentioning the grill, id probably break the fan within a week without one. Getting any CM HAF case to Ultra HAF is definitely the main goal, and doing it with a full fan setup is just oh so nice! You have a great rest of your weekend, and again, thanks! The grill has already saved my fingers-- and the fan itself whenever I occasionally/temporarily set something on top of it. Mounting an external fan, especially on top, presents this challenge, something you may not consider up front, but will encounter soon afterwards: How do you EASILY disconnect the fan so you can fully remove the top? By routing a 3-pin extension cable that's connected to an internal power source behind/outside the case, then connecting the fan's power cable outside to the externally-routed extension cable, you can easily disconnect the fan outside and cleanly remove the top. Beautiful build. Question - Are the 5.25 and 3.25 bays removable? Thanks for your inquiry. Yes, there are three cages, two in the front and one in the back. They can all be removed; many do that to fit water parts/reservoirs, etc. Thank you for the reply! I can't wait to get this case! Who bothers pointing out the obvious that's already pointed out. Thanks for your reply. The build is happening this weekend. More images are forthcoming.